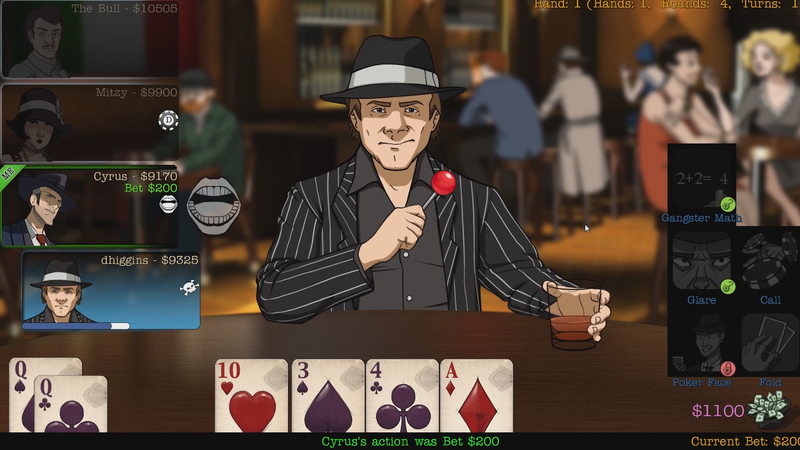 Ragachak: Lords of New York is a very unique Poker game amongst a sea of card games. What inspired the initial idea of the game? Cyrus: Way back in 1998, a movie called Rounders came out. It was a movie about poker, but it was really strong on character, and those characters had their own ways of playing. John Malkovich played this crazy Russian dude, for instance, who just scared everyone he played with odd behavior and intimidating tactics. It was just a cool way of looking at poker and what makes the game compelling. Hint: it’s not the actual card game. 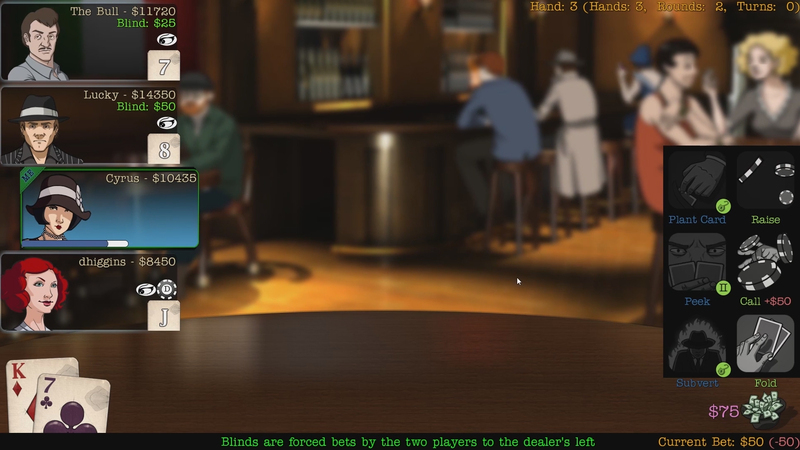 Ragachak: A Poker game where cheating is encouraged by the abilities in the game is fantastic. Are there any that stand out as some of your personal favorites? Cyrus: At Pax West 2016, we got to show how players cheated against each other, and really, it’s when someone turns the game around at the last second that’s most exciting. 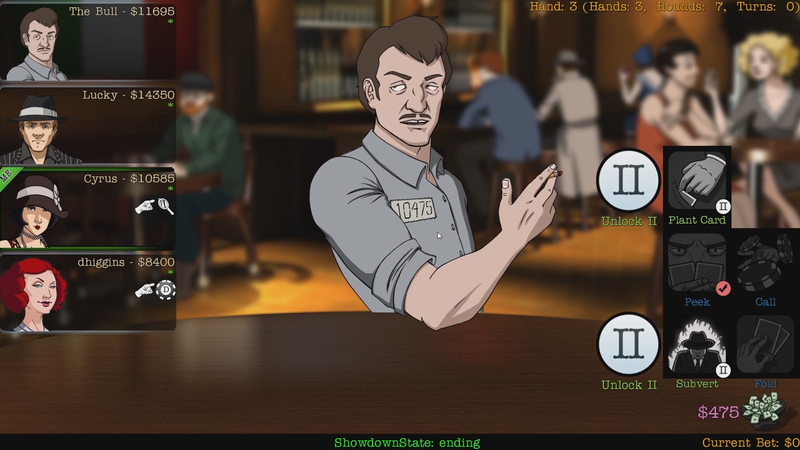 Like if Lucky gives himself a flush by using a skill that drops down a card in the suit he’s looking for, or when Mitzy’s card switching turns a dominating player into a big loser – those sorts of events that got a whole table reacting are really fun to watch. Ragachak: Will you receive a game over in the single player mode if you lose several matches? Or will those losses factor in to how the story plays? Cyrus: We don’t want any devastating “game over” scenarios, so we’re splitting the single player mode into bite size chunks. Yes, it will be possible to lose, but the stakes are low for the player. We’re exploring possibilities of long-term effects of single player actions, like gaining special single-use cheat items. Ragachak: NPCs can have tells or calls to give away certain actions. Will that happen with your characters in multiplayer mode? Cyrus: That’s all up to you! We plan on releasing a full emote system, where players can make their characters express themselves in particular ways, like showing happiness, anger, or frustration. Is that a tell? Sure. We’re looking forward to seeing how it impacts players. Ragachak: How did you design the personality-driven AI for a game like this? 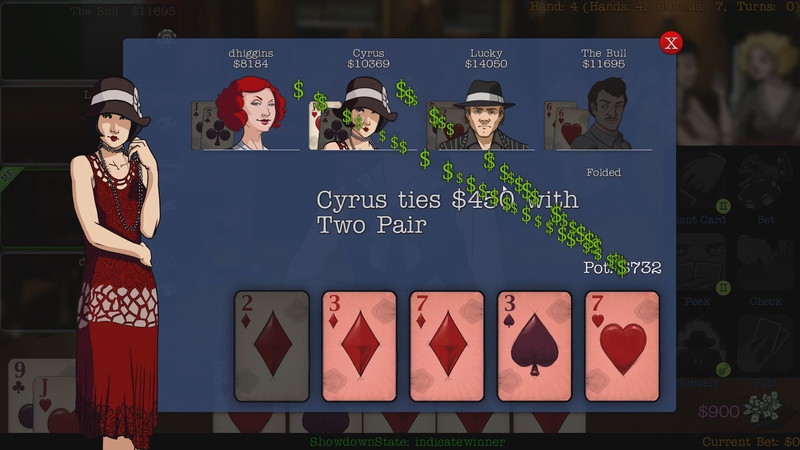 Cyrus: The game of poker itself is dead simple, so that was the easy part. Really, it’s the actors and animations that drive the personality more than the AI. Everyone wants to *win*, of course, but how that drive displays itself is more up to the characters. The skills for each character were developed with those personalities in mind, so most of the work is in the pre-planning. If you want a deeper dive into how our AI works, check out this article we wrote for Intel. 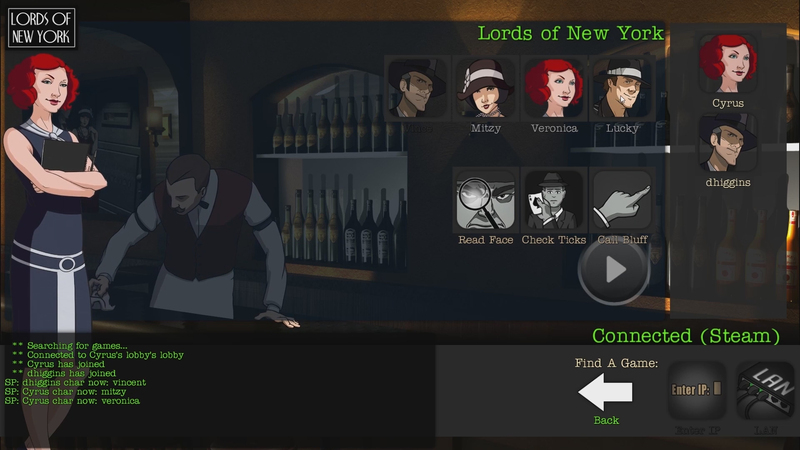 Ragachak: What’s currently in development for Lords of New York? Anything exciting on the multiplayer/campaign front? Cyrus: Lots! 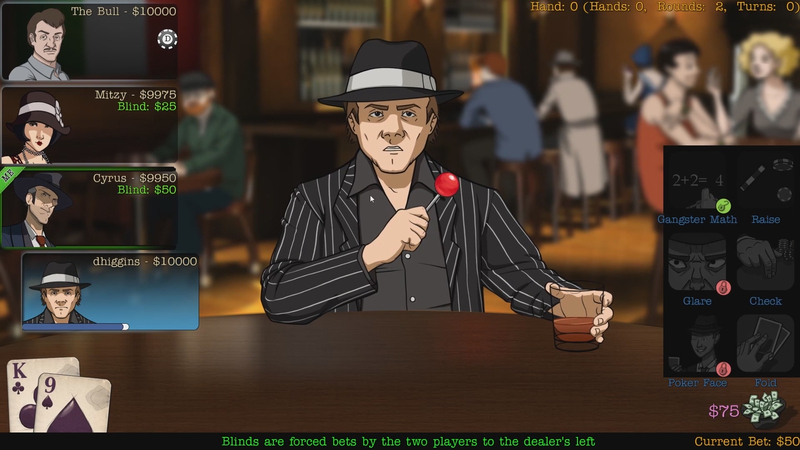 Like the emote system I mentioned earlier, many more characters, a story mode that will engage any kind of player, new cheating skills…Lords of New York isn’t going to be “over” for a long time! We’ve got a big story to tell and more characters we’ve got to get out of our heads. Ragachak: Any thoughts on multiple endings for the campaign? Ragachak: What inspired the art style/animation for Lords of New York? Cyrus: We’re big Disney fans at Lunchtime Studios. They’ve known for years better than anyone how to take a subtle facial cue and make it say everything the character is feeling. Character is not just about a cool look – it’s about expression and emotion. Our clean style makes it easy to manipulate our characters to show that wide range of emotion. Ragachak: The notion that winning isn’t always important is an interesting choice. 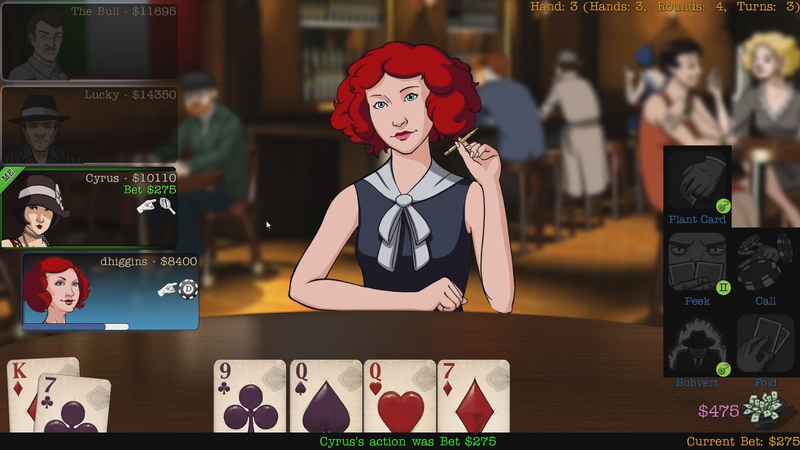 What sort of situations might require you to lose a game of Poker? Cyrus: This is more of a question targeted at our single player game, and like most of our answers, it all boils down to character. Sometimes, it’s just a smart move to lose depending on what type of personality you’re playing against. Do you really want to wipe the floor with a mob boss? Or earn their respect first? Maybe you’re paid to a take a dive. It’s a crooked little world we’ve built, after all. Ragachak: Though you’re in total control of your character, can your character show tells to the NPCs/human opponents? Cyrus: See the answer to number 4 – yes. But if we have players showing tells to NPC opponents, we’re doing something really, really right! Trion Worlds has announced that the next phase of ArcheAge: Legends Return's Fresh Start servers will go live on June 13th.